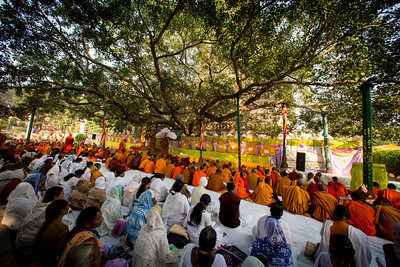 The 10th Annual Tapitica Chanting Cermony at Bodhgaya, Bihar, India. 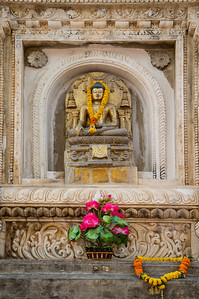 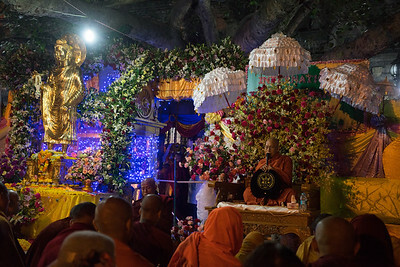 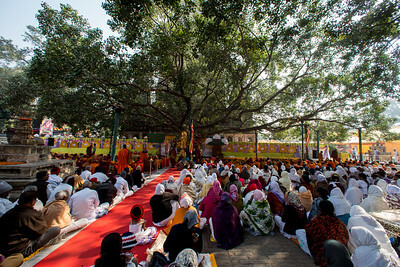 Venerable Syadaw, a Tipitakadhara, delivering a dharma talk under the precious Sacred Bodhi Tree duing the 10th annual Tipitaka Chanting Ceremony in Bodhgaya, Bihar, India. 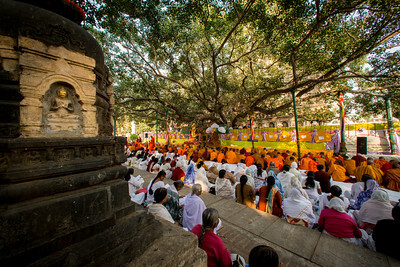 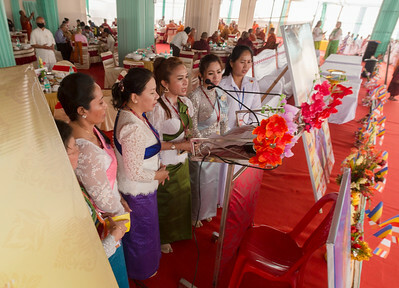 The Mahasangha reciting the words of the Blessed One under the Sacred Bodhi Tree during the 10th International Tipitaka chanting ceremony in Bodhgaya, Bihar, India. 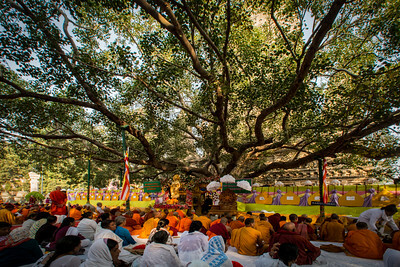 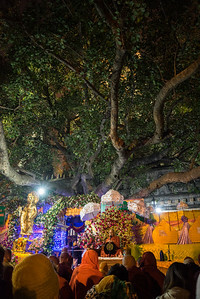 Under the precious Sacred Bodhi Tree duing the 10th annual Tipitaka Chanting Ceremony in Bodhgaya, Bihar, India. 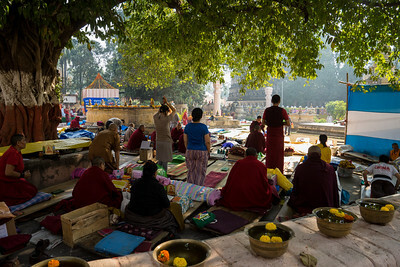 Tibetan monks and lay practitioners doing prostrations near the Sacred Bodhi Tree, Bodhgaya, Bihar, India. 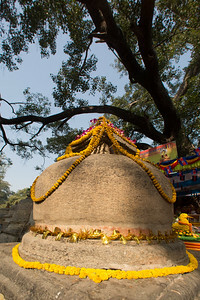 Small stupa in the main Mahabodhi Mahavihara Temple in Bodhgaya, India. 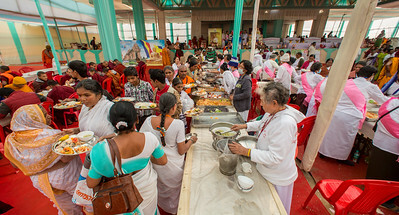 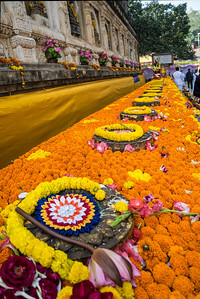 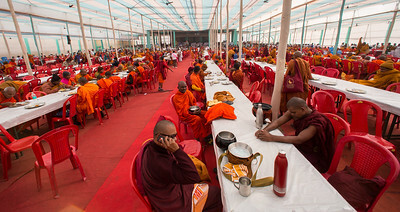 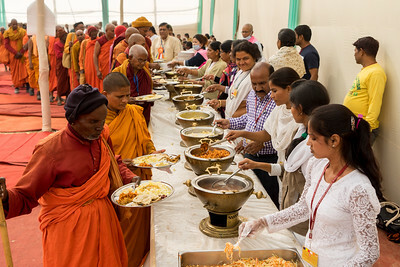 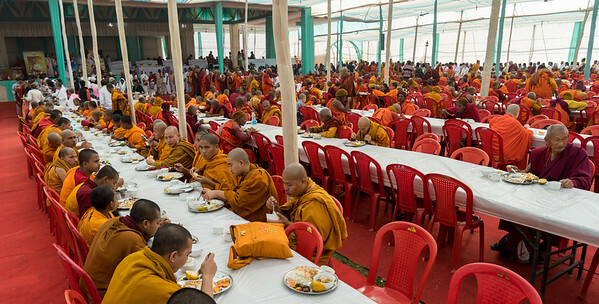 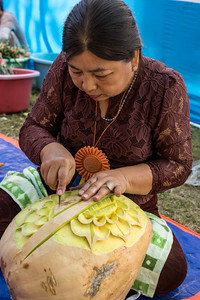 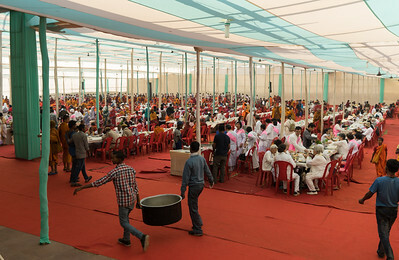 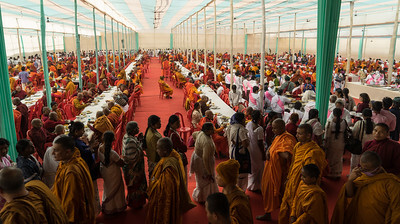 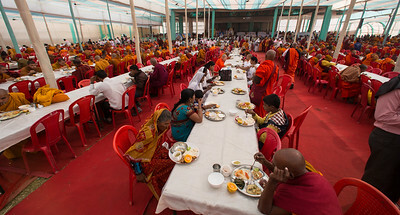 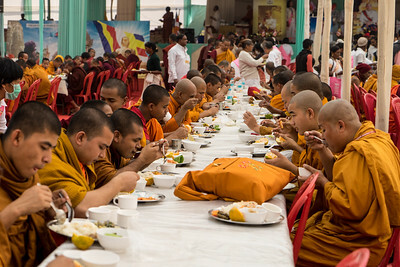 Offering of food dana at the Kalachakra grounds to the Mahasangha during the 10th Annual Tipitika Chanting Ceremony at Bodhgaya, Bihar, India. 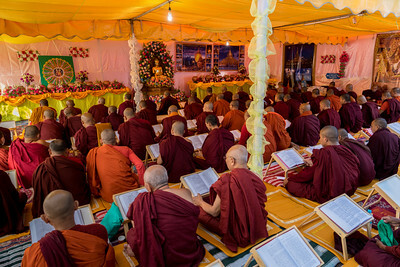 Monks and Nuns from Myranmar participate in the Tipitaka Chanting Ceremony at Bodh Gaya. 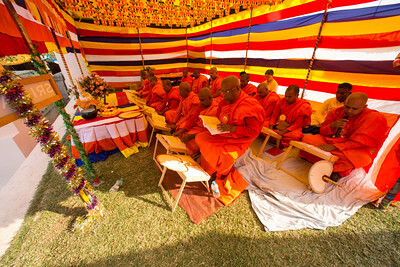 Monks and Nuns from Sri Lanka participate in the Tipitaka Chanting Ceremony at Bodh Gaya. 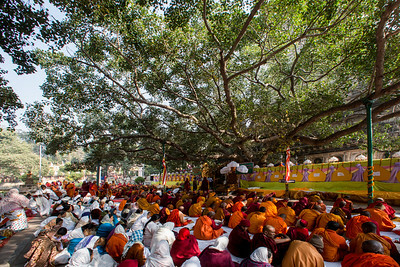 Monks and Nuns gather under the Sacred Bodhi Tree during the 10th International Tipitika chanting Ceremony in Bodhgaya, Bihar, India.